Every lunch set comes with phad Thai, Geaw tod, steamed rice, and your Choice of entrée (Beef add $1.00, prawns $2.00 seafood $3.00). 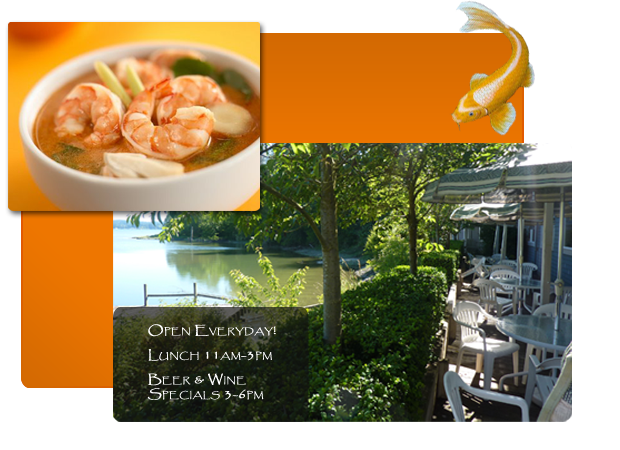 Lunch hours are from 11am-3pm everyday. Stir fried fresh noodle with your choices of meat bean sprout, Green onions, onion and curry powder sauce$12.95 Unless otherwise noted, your choices are chicken, pork or tofu. Beef add $1, Prawn add $2, Seafood add $3. Unless otherwise noted, your choices are chicken, pork or tofu. Beef add $1, Prawn add $2, Seafood add $3. Copyright © 2019 Aroydy. All Rights Reserved.